" Large selection of items." "An entertaining movie and a useful tool for leading people to consider the claims of the Gospel." "The power of the gospel to transform the lives of the characters is shown with deeply moving reality. So real is the presentation of the plan of salvation in this movie, the viewer will be left without excuse." "Both Rexella and I believe this to be the greatest religious release we have ever watched. I know you will be tremendously moved as never before when viewing this Holy Spirit led production." Expectations are turned upside down when a young man gives in to his darker impulses. 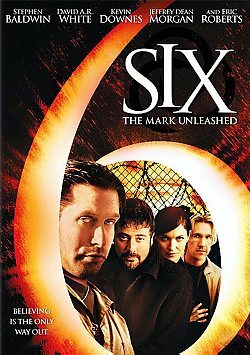 SIX: The Mark Unleashed is a wonderful film, which depicts a possible way in which the End Times might unfold. Yes, it is fiction, but since this is a sanitized (no blood, no gore) version of how things might be, I shudder at the thought of how terrible things might be. Stephen Baldwin (playing Luke) and Kevin Downes (playing Jerry, as well as directing the film) deserve special mention, as they did an excellent job in acting (Stephen) and directing (Kevin). You might also want to see Amazing Love, which directed by Kevin. Enjoy!